In general, we move sites to mobile-first indexing when our tests assure us that they're ready. When we move sites over, we notify the site owner through a message in Search Console. It's possible to confirm this by checking the server logs, where a majority of the requests should be from Googlebot Smartphone. Even easier, the URL inspection tool allows a site owner to check how a URL from the site (it's usually enough to check the homepage) was last crawled and indexed. 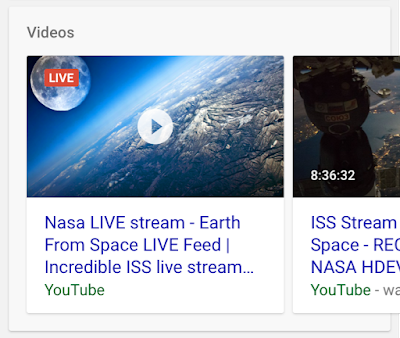 Structured data is very helpful to better understand the content on your pages, and allows us to highlight your pages in fancy ways in the search results. If you use structured data on the desktop versions of your pages, you should have the same structured data on the mobile versions of the pages. This is important because with mobile-first indexing, we'll only use the mobile version of your page for indexing, and will otherwise miss the structured data. The value of alt-attributes on images ("alt-text") is a great way to describe images to users with screen-readers (which are used on mobile too! ), and to search engine crawlers. Without alt-text for images, it's a lot harder for Google Images to understand the context of images that you use on your pages. Check "img" tags in the source code of the mobile version for representative pages of your website. As above, the source of the mobile version can be seen by either using the browser to simulate a mobile device, or by using the Mobile-Friendly test to check the Googlebot rendered version. Search the source code for "img" tags, and double-check that your page is providing appropriate alt-attributes for any that you want to have findable in Google Images. It's fantastic to see so many great websites that work well on mobile! We're looking forward to being able to index more and more of the web using mobile-first indexing, helping more users to search the web in the same way that they access it: with a smartphone. We’ll continue to monitor and evaluate this change carefully. If you have any questions, please drop by our Webmaster forums or our public events. 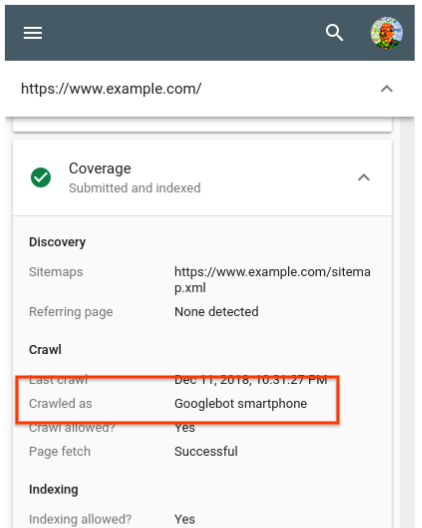 It's been two years since we started working on "mobile-first indexing" - crawling the web with smartphone Googlebot, similar to how most users access it. We've seen websites across the world embrace the mobile web, making fantastic websites that work on all kinds of devices. There's still a lot to do, but today, we're happy to announce that we now use mobile-first indexing for over half of the pages shown in search results globally.
. This program consists of monthly videos which cover many topics of interest to online publishers (we recommend you sign up if you use Google AdSense). The November 2018 version was dedicated to HTTPS migrations. What are the usual complaints about HTTPS, and are they still true today? “But HTTPS is sooooo sloooow!" We hope that this sort of content is useful. Don’t hesitate to let us know if you like it and if we should do more! You can reach out to us directly on Twitter (Vincent & Fatih). Let us know which topics are of interest to you by commenting here or on the YouTube page. If you have questions when you plan your own HTTPS migration, don’t hesitate to ask in our Webmaster Help Forums. A few days ago, Fatih Ozkosemen and I led an episode of the AdSense On Air series. This program consists of monthly videos which cover many topics of interest to online publishers (we recommend you sign up if you use Google AdSense). The November 2018 version was dedicated to HTTPS migrations. 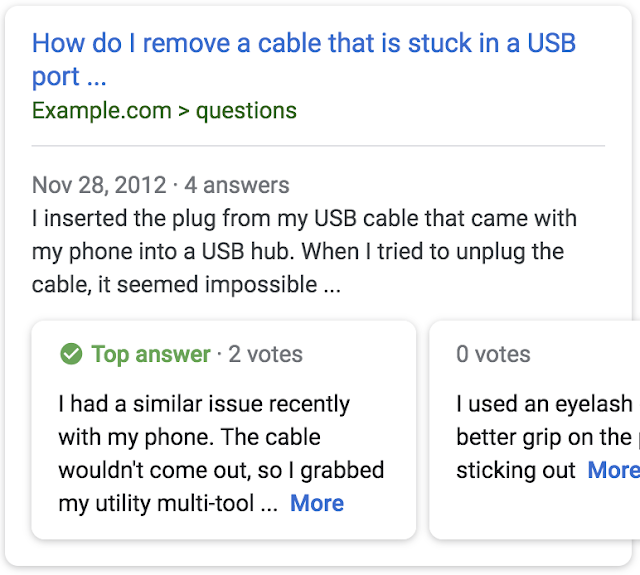 A screenshot of an example search result for a page titled “How do I remove a cable that is stuck in a USB port” with a list of the top answers from the page. 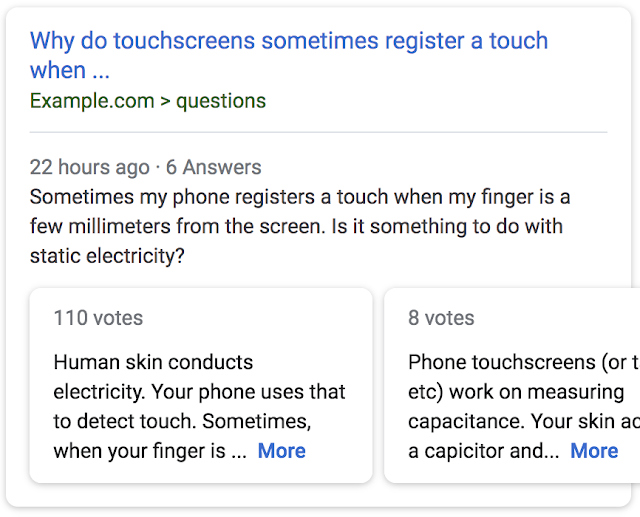 In order to help users better identify which search results may give the best information about their question, we have developed a new rich result type for question and answer sites. Search results for eligible Q&A pages display a preview of the top answers. This new presentation helps site owners reach the right users for their content and helps users get the relevant information about their questions faster. 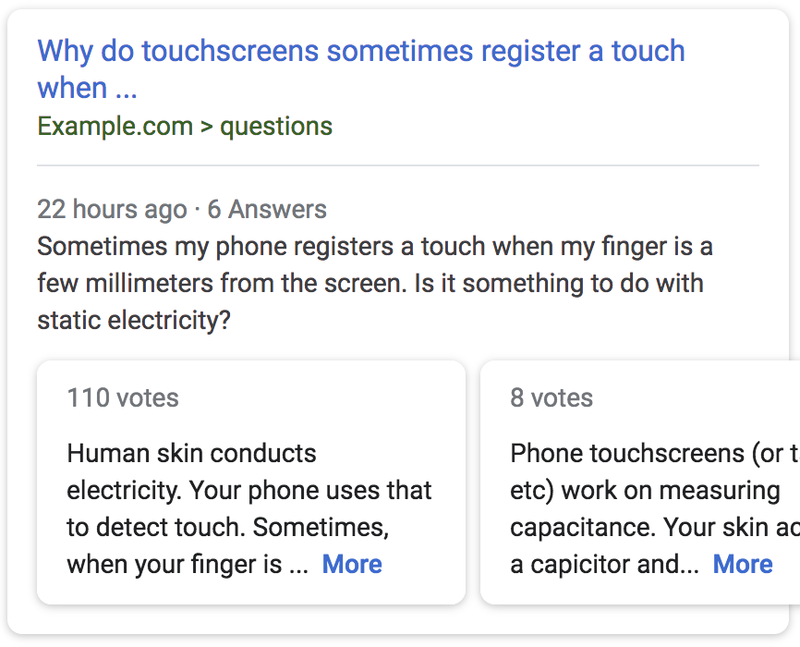 A screenshot of an example search result for a page titled “Why do touchscreens sometimes register a touch when ...” with a preview of the top answers from the page. To be eligible for this feature, add Q&A structured data to your pages with Q&A content. Be sure to use the Structured Data Testing Tool to see if your page is eligible and to preview the appearance in search results. You can also check out Search Console to see aggregate stats and markup error examples. The Performance report also tells you which queries show your Q&A Rich Result in Search results, and how these change over time. If you have any questions, ask us in the Webmaster Help Forum or reach out on Twitter! People come to Google seeking information about all kinds of questions. Frequently, the information they're looking for is on sites where users ask and answer each other's questions. Popular social news sites, expert forums, and help and support message boards are all examples of this pattern.